Ford and General Motors worked closely to develop a new generation of transmissions, two, in fact. Not only is the new ten-speed automatic a single fruit of both automakers’ labors, but a new nine-speed automatic is inbound, too. The ten-speed gearbox will be reserved for rear-wheel drive vehicles, so expect to see it trickle into GM trucks and SUVs, plus performance vehicles. The nine-speed will be situated for front-wheel drive architecture, and that’s our topic here. AutoGuide reports the 2017 model year Chevrolet Malibu Premier will be first to see the all-new, nine-speed automatic gearbox. A leaked document surfaced showing L, LS and LT trims soldiering on with the six-speed automatic, while the suave Premier trim will see the new gearbox. The final-drive ratio drops from 3.08 to 2.89 in the Premier, as well. As we move through the summer months, we’ll likely hear more about the new transmission as the 2017 model year comes full swing. I wonder why they don’t make the 1.5T the 8 speed and ditch the 6 speed overall? The 8 speed is a RWD transmission like the 10 speed. So, the 9 speed and the 6 speed are the only FWD transmissions. Because of the costs, probably. It’s mass market mainstream vehicles, it’s no Mercedes. New nine speed is expected to be more complex and expensive than their current 6 speed autos being already used for many model years. If you build more of them then building costs will go down. Everything is getting more complex…so what? Well, I agree, they will do that – ramp up the production – in a year or two, and then the costs will go down, and then, when the costs go down, it will be present in all the trims (not just the top one). I meant it’s not Mercedes in the sense that they do more bean counting in mass market around $25 K price than Mercedes does around e.g. 50 K price. It will come later, the production will have to come to speed, and every manufacturer prefers to real-world introduce new powertrain parts in limited numbers first. Similar to some Camaros being the first to use the 10-speed. Model year 2018 might see more widespread use of the 9- and 10-speed automatics. Let’s hope the 9-speed is as good as the initial feedback on the 10-speed. Why even mention obsolete transmissions? 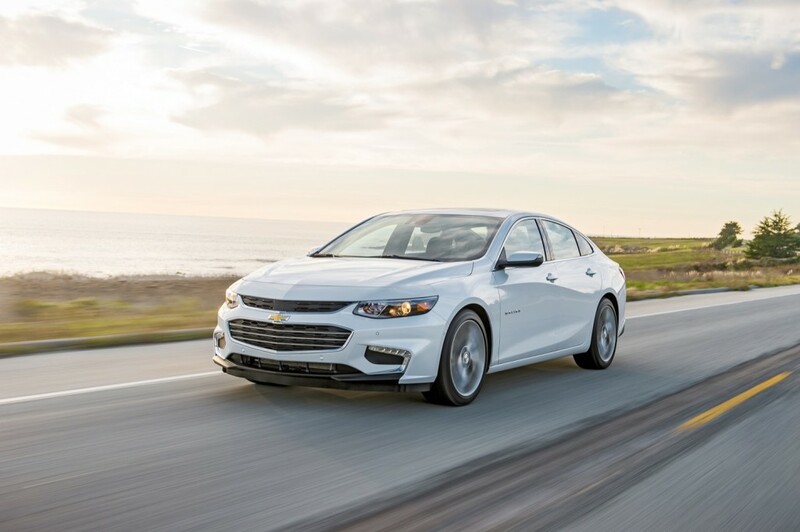 The Hybrid Malibu has a version of the Volt’s 5ET50 Drive unit, which uses its electric traction motor to drive up to 99 MPH smoothly and noiseless, getting over 45 MPG, too. The regular engine/transmission setup is over 100 years old and very obsolete!